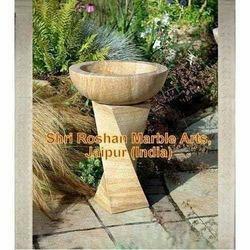 We are instrumental in offering Sandstone/Marble/GraniteBird Baths to the clients. These products are made using rainbow sandstones at vendors' end. The products are in accordance with prevailing market trends and fashion. These products are shallow and attract different species of birds especially during drought. 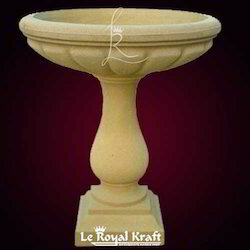 Buy this beautiful designer teak sandstone birdbaths for garden from Stonemart the leading natural stone exporter, supplier, manufacturer and wholesaler in india. We supply stone birdbaths for garden, home decor at low price in Jaipur. Buy stone birdbaths in wholesale at near you Civil Lines/ Sodala Jaipur India. Order online and get delivery at your doorstep. Buy the beautiful Natural sandstone birdbath in Vellore from the distributor and supplier of Stonemat. Stone Type : - Teak Yellow .